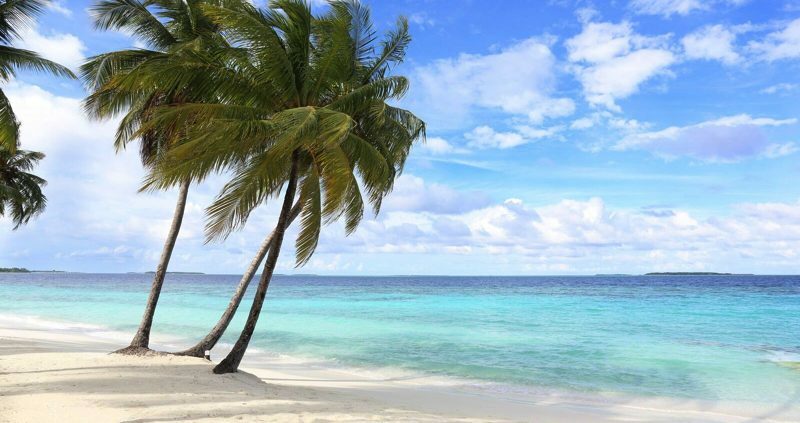 Amilla Fushi Maldives is a luxury 5* resort, in the Baa Atoll, just a 35 minute seaplane journey from Malé airport, or take a domestic flight to Dharavandhoo Airport and then it is a 10 minute speedboat ride to the island. The resort is a modern vision, with white cube villas laid out along the beach and over the lagoon, the resort is glamorous and adult looking, here minimal chic meets the Maldives. The level of service is very high, but with a pleasingly relaxed vibe. Visit the Jaavu Spa, which offers soothing treatments that indulge and inspire, including a range of massages, there are also manicure and pedicures. 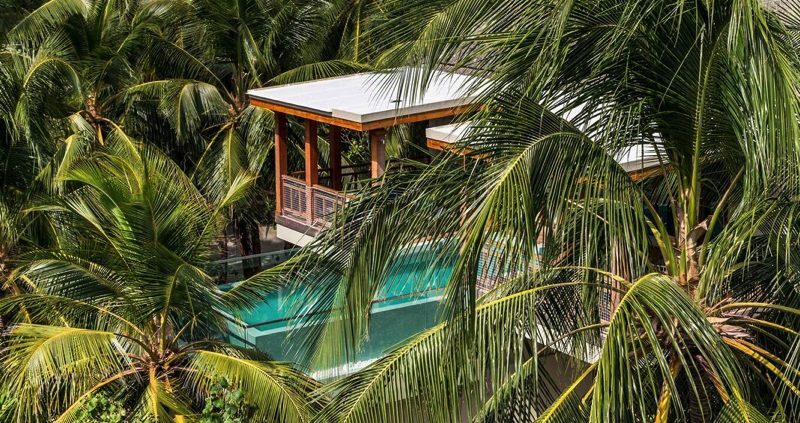 You can find amazing villas built over the sea, nestled on the beach, hidden in the treetops. 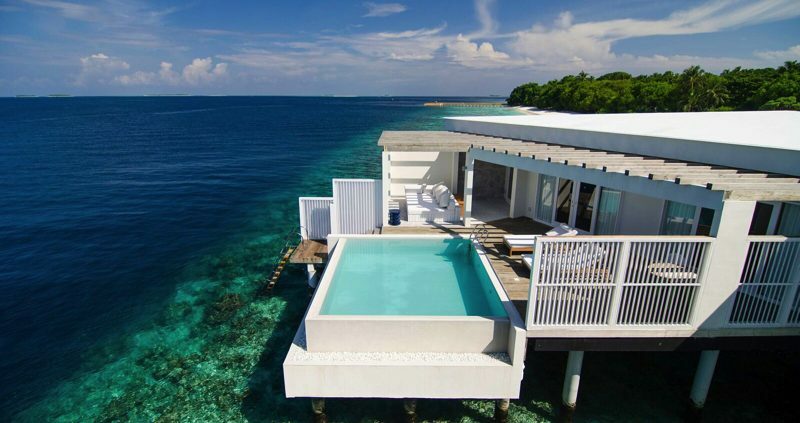 Amilla Fushi Maldives’s choice of houses and residences offers privacy and seclusion, a world of blissful relaxation. Residences are sprawled out over the sand. Private family retreats offering the utmost privacy with beautiful ocean views. A full on water-sports centre offers everything from snorkeling to stand-up paddle-boards to kayaks and Sea Bobs. You don’t even need to venture out on a boat trip to see the underwater life, the resort has its very own mini ‘Blue Hole’, where you can swim through an underwater tunnel of coral surrounded by colourful fish. The H.U.B. is the resort’s portal to the open seas, spot countless colourful fishes, dolphins, manta rays and turtles as they glide through the waters. The Baa Atoll is a UNESCO heritage site. 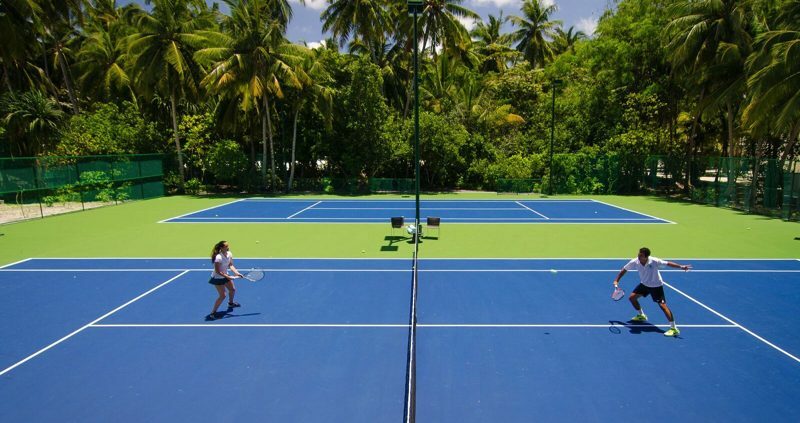 On land play Badminton in the shade, take a tennis lessons with a pro, take part in volleyball battles on the sand and football games against Amilla’s Islander team. 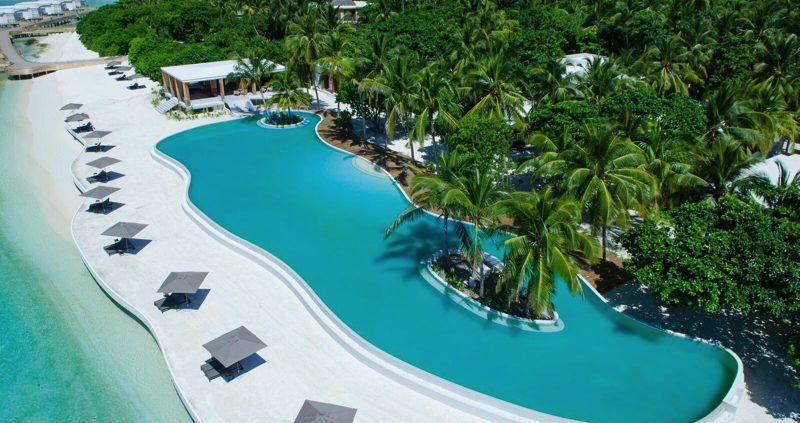 The resort is a gastronomic paradise with 7 restaurants, The Emperor Beach Club is the heart of the resort, where dining, sports and entertainment come together. 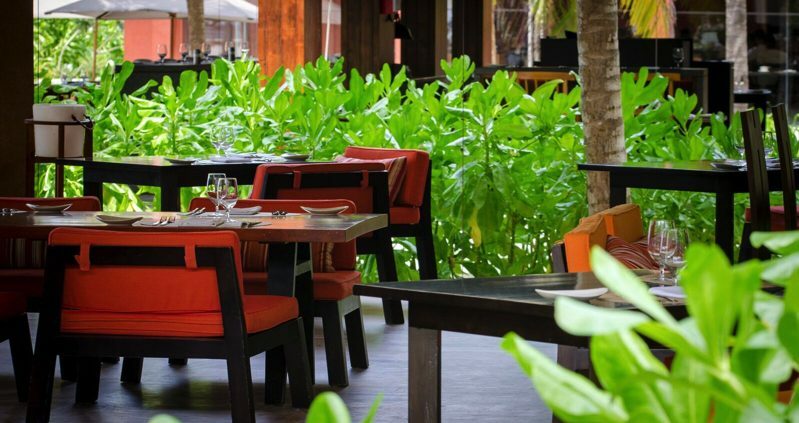 Feeling Koi serving Japanese, with a latin touch, Baazaar Bar serves international cuisine by the pool, Barolo Grill dishes up Italian plates of food, Wok serves eastern food. There is also a fish and Chip shop and Joes Pizzas. Fresh is a sunny breakfast spot by the pool offering a blissful start to the day, with tropical fruits, muesli, yoghurt, or a cooked breakfast. 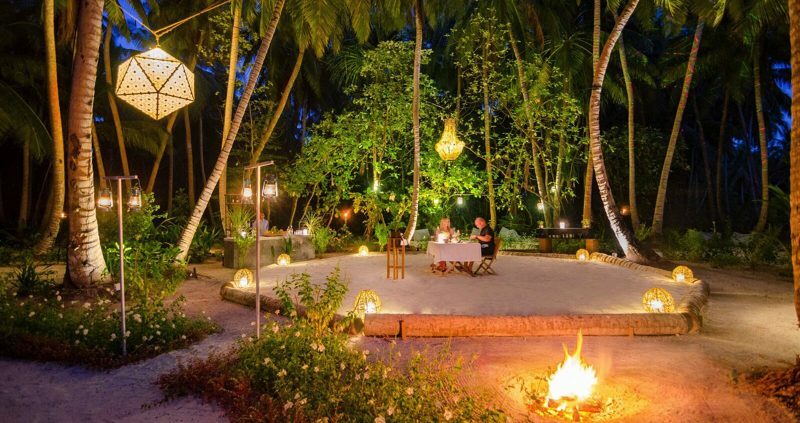 Mystic Garden is an intimate table in the lantern light with a bespoke menu tailored to your personal tastes. Bodyism Café at Javvu Spa serves up full flavoured, vibrant, energising foods. Room service, including breakfast, can be taken in your villa for no extra charge. The Cellar bar offers 1000’s of wines in a rustic enclave. Bottles of red and crisp white, ready for tasting, perfect for indulging. 1 Oak Lounge serves ice-cold cocktails and beers with a DJ spinning tunes until late. 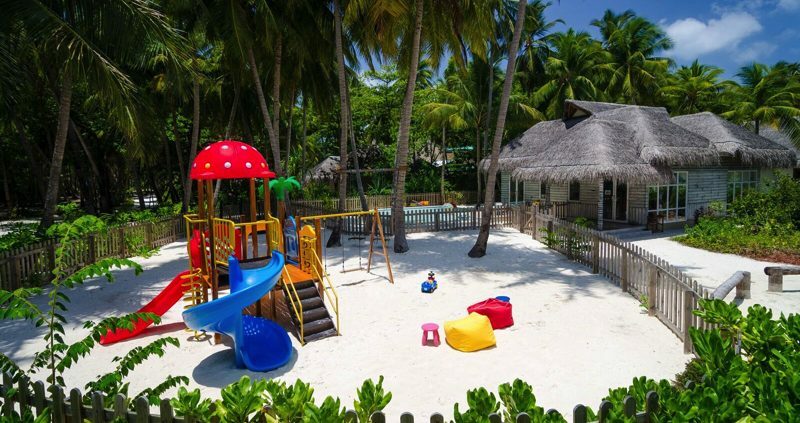 Amilla Fushi Maldives also caters for kids, with unlimited watersports, a creative children’s menus and a kids’ club as big as a village school. The Sultans Village Kids Club offers daily programmes to keep your little ones occupied, complimentary child-minding and a host of enriching activities. With palm tree swings, finger painting and beach games. For teens there is billiards and X-Box. 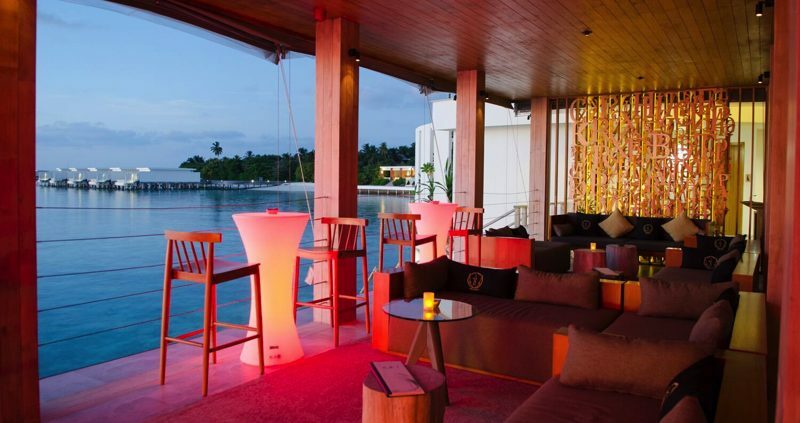 Amilla Fushi Maldives opens the door to true escapism. 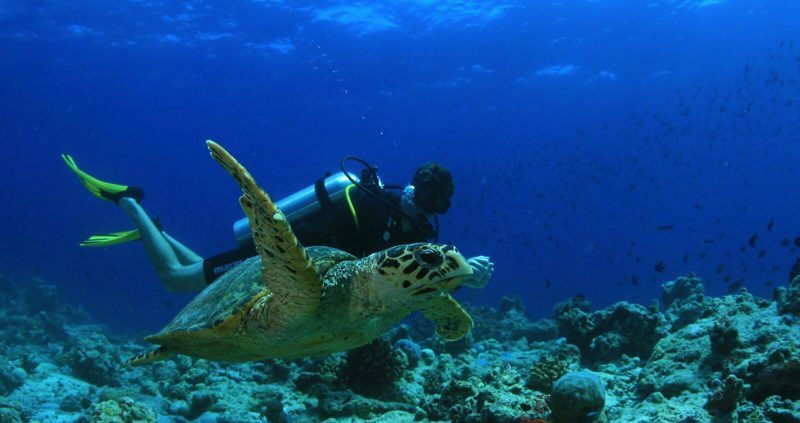 Clear waters to explore, sports to get the heart racing, expeditions into a bright-blue biosphere, food to relish. Surprises at every turn and Adventures for all ages.